My bank card somehow was compromised and someone made a fraudulent purchase on it over the weekend. (This fraudulent purchase was $40 at 7-11. I’d like to hope they at least got something interesting with it, like 40 hot dogs). Luckily I check my bank account all the darn time and was able to identify the fraud right away (and there was only one, phew!). I got the bank on the phone and took care of it immediately. This means that my bank card is now no good and I have to wait for a new one. This is good timing for my card to get stolen because I am in a mood to shop! shop! shop! Lacking a card will keep this stupid expensive impulse under control. 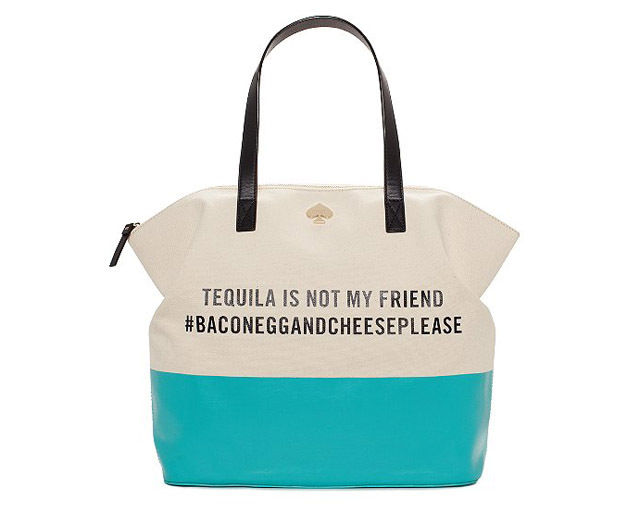 I’ve been eyeing this Kate Spade tote for ages. It’s finally half off, although way more than I want to spend on a tote. Then again, I’ve been wishing and dreaming and hoping for this bag, so it may be worth it for the peace of my little mind. We can has springtime? Maybe? Possibly? Or I could put this fun springy dress on and stay indoors and sip iced tea and pretend it’s springtime because it feels like it’s never ever going to get warm again. 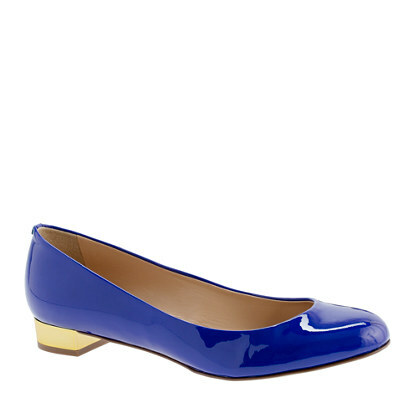 The necessity of these shoes needs no explanation. The gray gray sky, every single day. It’s too much. I need some sunshine. I’ve been turning my desk lamp on at work and that has helped a little, but I think I need to just go for it and buy one of those full-spectrum SAD lights that I’ve had my eye on for the last few years, but have never had the heart to plunk the cash down for. The tipping point for me joining Weight Watchers and steeling my resolve to get to the darn gym was because a few months back, I hit an all time low with energy. It was like I was riding from coffee to coffee, just to keep myself functional. I was getting enough sleep at night, but I wasn’t feeling rested in the day. I knew that it would not get any better until I changed my habits. I’ve still been fatigued, the short days and lack of sunlight do not help. Yesterday, finally, I had a breakthrough! I had energy! I was excited to get to the gym, and once there, I hopped on the treadmill and ran a whole 30 minutes! The last time I ran was probably in October, and even then the longest stretch was about 12 minutes. But yesterday, a whole 30 minutes! Victory! Mr. Beez says that no way no how do I need any more shoes, but how fun would it be to have some sunny kicks to up my energy at the gym? I’ve been grateful that work has been at the manageable end of the crazy-spectrum lately which has given me the flexibility and opportunity to focus on my health and well being. I realized yesterday that March is going to be full-speed-ahead. I’ve got an article, a significant brief, a trial and a conference presentation all on my plate. Feast or famine, folks. But I think that I am finally feeling refreshed from this somewhat quieter time, and I’m excited and ready to take on all these tasks. I went (online) shopping under protest this morning. I usually LOVE shopping online, in real life, from a catalog, whatever. This time, not so much. I’m in that frustrating in-between phase of weight loss. I’ve lots enough weight that my work pants look terrible on me. The bum is saggy, they give me elephant legs, oh dear lord they look awful. I bought a new pair of black pants at Banana Republic a couple weeks ago that actually fit, and when I wear them, I feel like a million bucks. Of course, I’m not made of money, so new Banana Republic pants aren’t an every day thing. My abs don’t look like this at all. Not even close. But you get the idea. I didn’t want to buy new pants right now, because it feels like doing so gives my current size permanence. If I buy new clothes for my body how it is now, then my body’s going to settle where it is. I don’t want that. When I someday get down to my “goal weight” (yes, I’m actively working on that with WW and gym visits and yoga and personal training), I want to splurge on nice clothes and even make a look book with a personal stylist. Buying new pants now chips away at my fashion fund, and feels like I’m nibbling at a treat I did not yet earn. I bought the pants, but I didn’t buy them happily. NY & Co. is running a buy-one-get-one-50%-off sale right now, so I got 4 pairs of cheap pants for about what I paid for my nice new Banana Republic pants. NY & Co. tends not to be the greatest quality, but who cares? Maybe that will motivate me to lose more weight so those pants don’t fit anymore. How do you deal with your in-between pants phase? 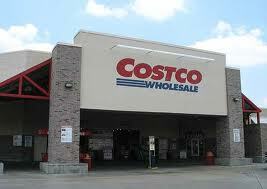 When I was a kid, I hated Costco. We went there every weekend and went shopping, and it was boring. When I got to college age, I learned better. Costco meant huge hauls of food for cheap. Awesome. Since then, my love for Costco has grown and grown and grown. I love that they treat their employees ethically. I love that they offer huge hauls of food (especially produce) for cheap. I would complain about the mindless hordes of shoppers, but I manage to go there pretty much exclusively at off-times, so I don’t have that problem at all. Costco has been essential for baby supplies like diapers, wipes, etc. I can’t imagine how much more those things would have cost basically anywhere else. 1. Last year, I was talked into upgrading to an “Executive” membership, which means you get 2% of your purchases in cash back. 2. At the time of upgrade, I was promised that the cash back check would at a minimum be the difference in cost between regular membership and executive membership ($55). 3. I got the cash back check, and it was only $21.87. 4. My mom sent me a gift card for my birthday to renew my membership (this is my awesome awesome birthday present every year). Except Mr. Beez was the one shopping when we were reminded that our membership was renewed. He didn’t realize that I had a gift card for that, and he also didn’t realize the difference between executive and regular membership. So he paid out of pocket to renew executive membership, even though we didn’t want that anymore. So I went into Costco ready to confront them about the insufficient check, and the member renewal gift card that I was really hoping they’d let me just use as a gift card instead of having to hold onto it until renewal time, and was actually unaware that our membership was renewed at the executive level at that time. I approached customer services, and first asked them about using the the membership gift card as a merchandise gift card. The representative: “Oh no, I’ll just give you cash for it.” CASH. DID YOU HEAR THAT! SHE JUST GAVE ME CASH, AND I DIDN’T EVEN HAVE TO ASK FOR IT, MUCH LESS FIGHT FOR IT!. I show her the insufficient cash back check, gearing up to get in a fight about how they promised I’d at least get a check for $55, even though that’s not exactly what the fine print on the member terms says, but i wouldn’t have upgraded if they didn’t promise that…. She takes one look at the check, and before I even really say anything, she says “This was done wrong. You’re supposed to at least get $55. I’m going to cash this check and also give you the rest of the amount in cash.” SHE GAVE ME THE WHOLE AMOUNT I WAS SUPPOSED TO GET IN CASH. AND I DIDN’T EVEN HAVE TO ASK FOR IT, MUCH LESS FIGHT FOR IT! Then came the final step– I asked her if Mr. Beez renewed at the executive or regular membership. She looked it up and said “Oh, it’s executive, if you just want regular, I’ll refund you the extra amount he paid for the executive.” And then she did it! Right there! In cash!! So folks, my love for Costco is ever stronger. I of course turned around and immediately filled my cart and spent that $150, and that was the happiest $150 I’ve ever spent at Costco. See, they give me money, I give it back to them, everyone wins! Costco, will you be my Valentine? My 30 Before 30 goal to “Develop an Identifiable ‘Personal Style'” is poorly stated. Personal style is a continuing adventure, not a stand-alone destination. The ladies of Propelle got me well on my way at this weekend’s Style Summit. 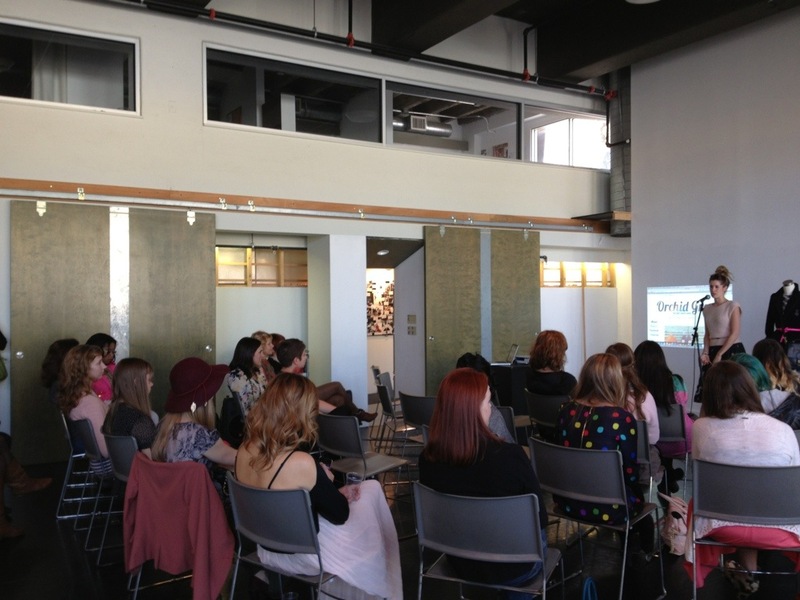 The Style Summit brought together fashion bloggers, photographers, stylists, beauticians, and all kinds of other stylish people for an afternoon of trading tips and ideas. I was excited to have a chat with Terra McBride of Stylish White Female. I’ve been reading her blog for quite a while, and she always creates such unexpected and gorgeous combinations. We talked about how she finds inspiration for her color, texture, and fabric combinations. We also chatted about how she finds energy to put herself together so nicely, when just chasing around a little one takes SO MUCH energy. As with anything that is important, you just up and do it. Fashion is important to her, so she prioritizes it. 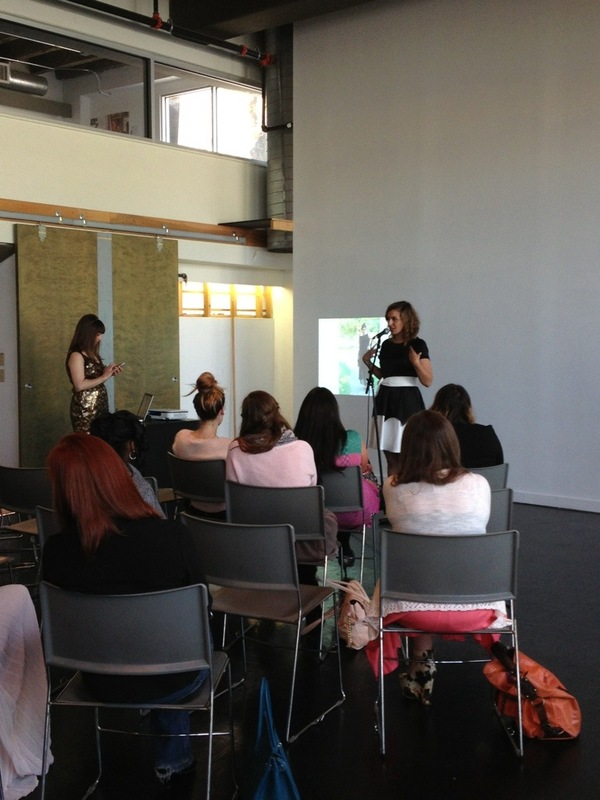 I really enjoyed listening to to the talks by personal stylist Rachel Valozzi. 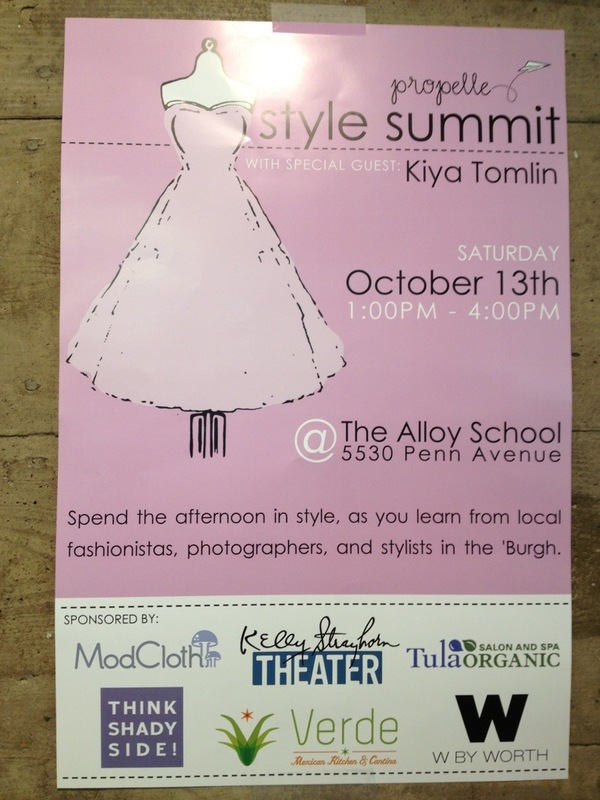 I’ve heard of personal styling services, but I didn’t know there was anyone in Pittsburgh who offers them! 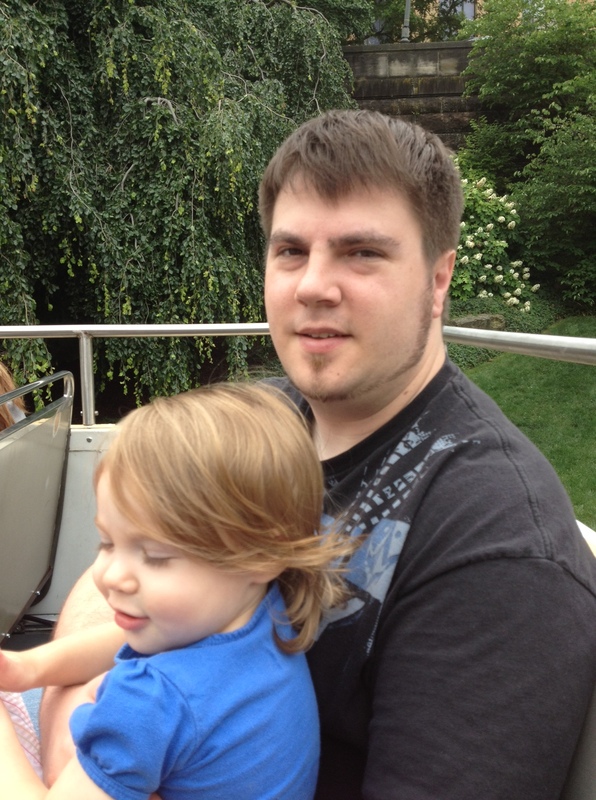 I’ve been working hard to lose the my-kid-isn’t-a-baby-anymore weight. As part of this, I’m hoping that I’ll need a wardrobe overhaul. I’ve promised myself that if I hit my goal weight (and yes, it may take a while), I’m setting up some quality time with a personal stylist to get my look in order. I also had a hairstyle consultation and a chair massage with the ladies of Tula Organic Salon. They are MAGIC! The chair massage was amazingly relaxing and much too short. Tula is an Aveda Salon, but it’s prices are extremely reasonable. I’ve already got an appointment set for Sunday, yippee! Kiya Tomlin also addressed the crowd as a special guest. She talked about her custom dress business, and gave styling tips specific to looking polished and professional (my favorite adjectives when it comes to clothing choices!). It was nice to hear that some of the more fashion-conservative principles I value about workplace attire aren’t entirely outmoded. Propelle did a phenomenal job of putting together this exceptional event. It was really fun to talk to the bloggers I’ve been reading online, and to see the creative way people assemble their outfits. I’m so risk averse. My general fashion approach is an all-black outfit with some piece of a stand-out color. Sometimes I’ll throw a pattern in there, or sometimes I’ll go with brown instead of black. But when it comes to mixing together colors or patterns or whatever, I feel lost and terrified mixing things together. The women at Style Summit inspired me to experiment a little and mix things up. After all, it’s just fashion! What’s the worst that could happen? I look funny for a day. And that’s a livable consequence. 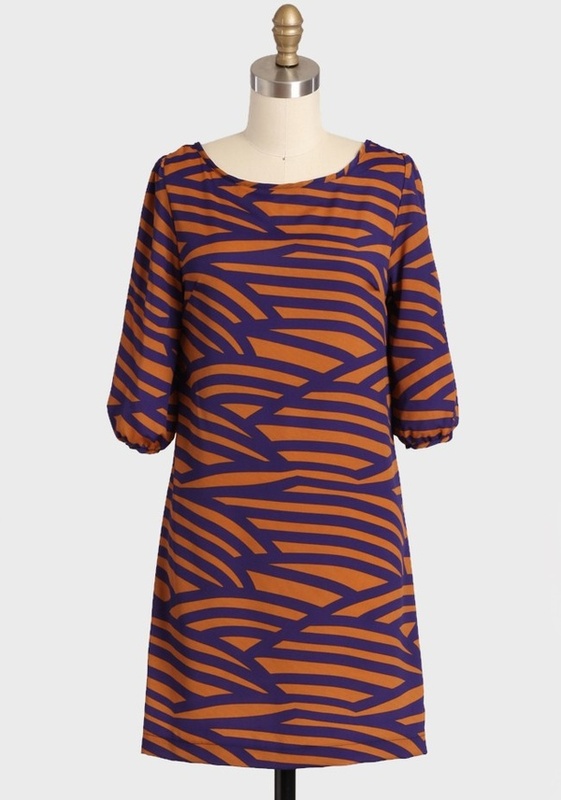 And unlike the million other dresses I’ve seen online and liked, this one actually does come in my size! I subscribe to entirely too many magazines (O, Lucky, Real Simple, Working Mother, Shape, SELF, Whirl, Pittsburgh Magazine and The Atlantic), and all but one of my subscriptions tempt, tempt, tempt me to head to the mall for new clothes. With all the fall fashions starting to hit the magazines, I’m convinced I really do need a fuscia blazer. The Gap has one that I’m coveting. Just yesterday I learned of Ruche. WHERE have you been all my life? 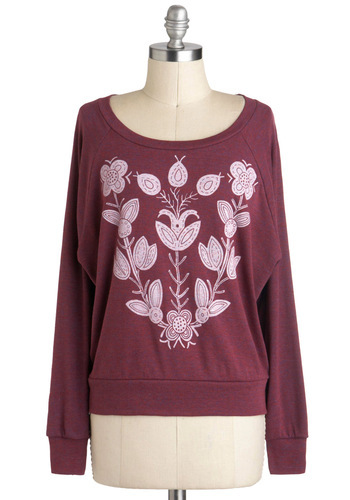 It’s similar in style to Anthropologie, but a heck of a lot cheaper. I haven’t bought anything from there, so I can’t speak to the quality of the clothing, but I can say that I’ve been making everyone on Pinterest crazy this morning by pinning and pinning and pinning. It is also coming time for me to update my suits. If I had my druthers, I’d wear dresses to work everyday. However, I go to court and meet with clients a fair amount, and those occasions call for a suit. The last time I bought suits was when I returned from maternity leave. I didn’t plunk down a lot of cash, in the hope that I’d be shedding off pounds, and could buy nicer suits when I hit my goal weight. Well, I’ve shed pounds, and even had those cheap suits altered, but I’m nowhere near my goal weight. It’s now time to come to terms with the fact that I need nicer suits, and I shouldn’t condition high quality work wear on a weight goal that I’m not going to reach for a long time (if ever). I’ve usually gotten my suits from Ann Taylor, but am considering either J. Crew or Talbots instead. Talbots has a nice grey suit that you can get with a dress, skirt, or pants. If I’m spending money on a decent suit, it can’t just be a jacket and pants OR a skirt. I’ve got to be able to get it with both options. Someday I’ll get a Brooks Brothers suit, but THAT is going to wait until I hit my goal weight. Where is your go-to shop for suits? 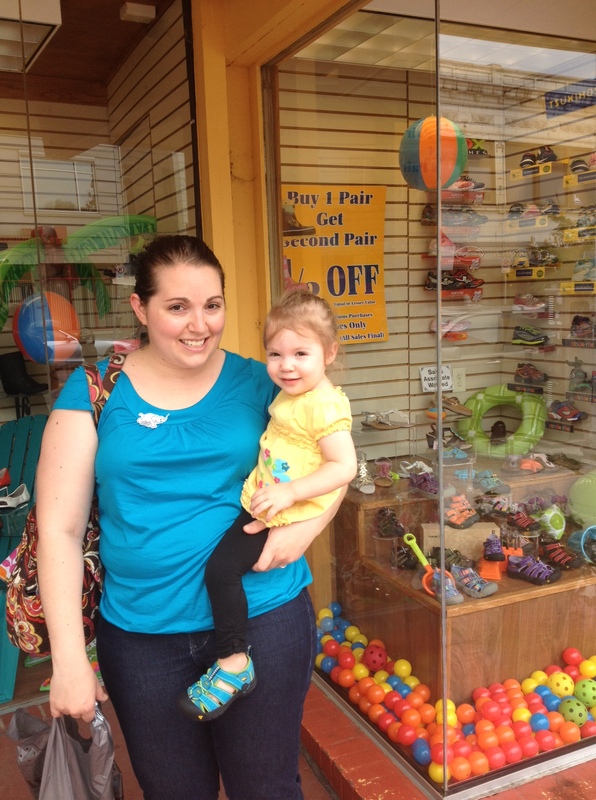 Littles Shoes is a Pittsburgh institution. It has been around for about a million years, and despite Zappos and DSW putting the little man out of business, Littles has stayed strong. I made the poor choice of buying Baby Beez discount sandals, and they lasted only a few weeks before she destroyed them. 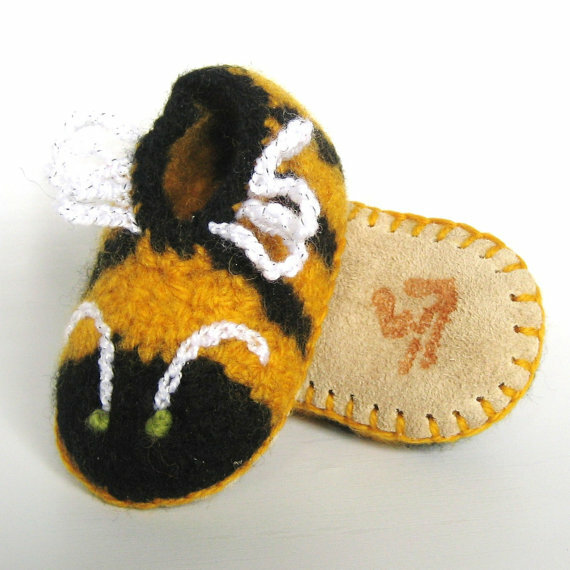 It was time to take a wander down to Littles and get Baby Beez the real deal– a pair of sturdy, washable Keens. That’s a terrible picture of me, but check out Baby Beez’ new kicks! Baby Beez was scared of getting her feet measured. The salesman was patient and clearly very experienced dealing with young moody children. He even brought her some stickers! It was nice to actually have someone helping us, as opposed to the DIY shoe purchase experience that is so common now. 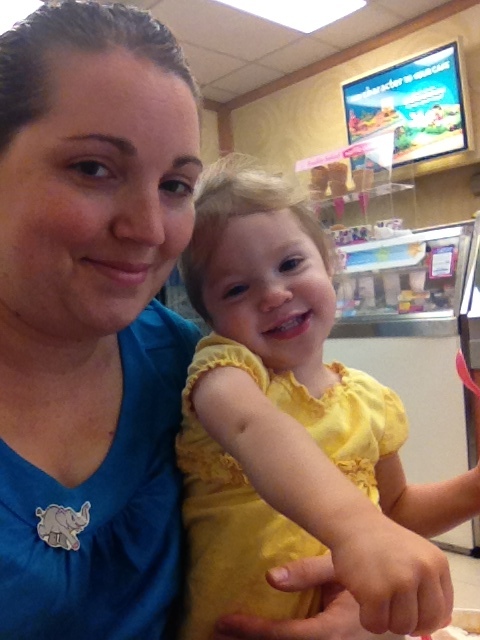 After our shoe shopping, we made a stop over to Baskin Robbins for a sweet treat. Baby Beez dug into her Salty Caramel ice cream with two spoons! 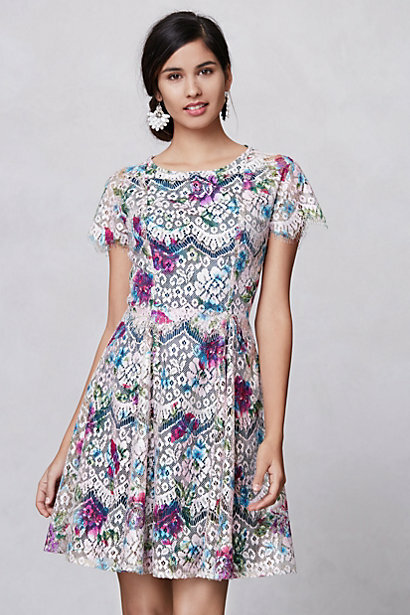 so folks, do I plunk down my card for the Between the Lines Maxi dress from Anthropologie that I’ve been ogling? OR do I go for the massage special on Groupon, for the newly opened Aveda salon in my neighborhood? We finished up our trip today in Philly with breakfast at Reading Terminal Market. I feel like I lived there this weekend, but it was about 2 steps away from the hotel, and offered way better fare than stale Starbucks pound cake at the hotel, so it was a natural choice. 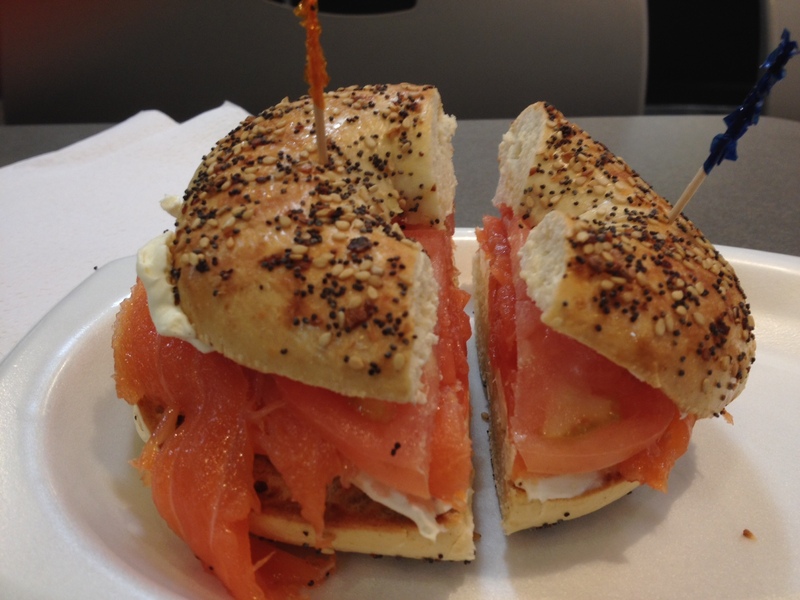 I had an everything bagel with lox and cream cheese from the deli. Yum! Although not a traditional breakfast choice, Mr. Beez had a cajun alfredo. I had a bite and really liked it. 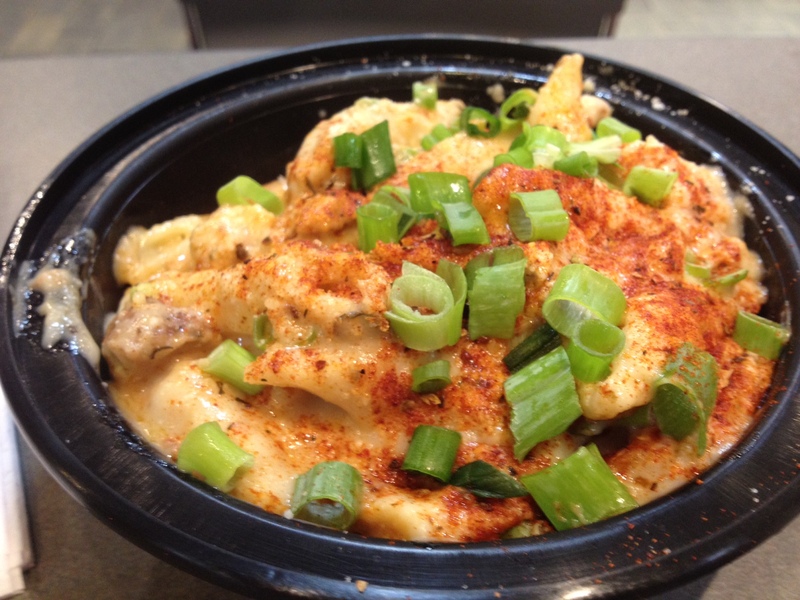 Regular alfredo is usually too heavy for me, but the spices in this cajun alfredo gave it a little kick, so that you don’t feel like you have a brick in your stomach from eating a whole plate of butter and cream. Next, we spent the lovely summer morning on a double decker bus tour! Baby Beez LOVES buses, and squeals “BUUUUS! BEEP BEEP!” when she sees them go by, and then asks for “MORE! MORE!” When I dropped her off at daycare the other day, three buses came down the street one after another, and she about exploded with excitement, so getting to ride in a double decker bus was a big deal for her! The tour guide was funny and knowledgeable, and the tour was a great way to see a lot of the city in a short amount of time. Afterward, we met my pal Atarah for lunch at Sidecar. I was too busy catching up with Atarah and trying to keep the snarling, thrashing little beastie child under control (the gremlin instructions for toddlers include “do not bring into a restaurant”), so I didn’t take any food pictures. It’s a fun, laid back hipster-type brunch place. The food was definitely good, and I appreciated that the brunch menu included salads and sandwiches alongside more traditional breakfast fare. After lunch it was time to head back to the ‘burgh. 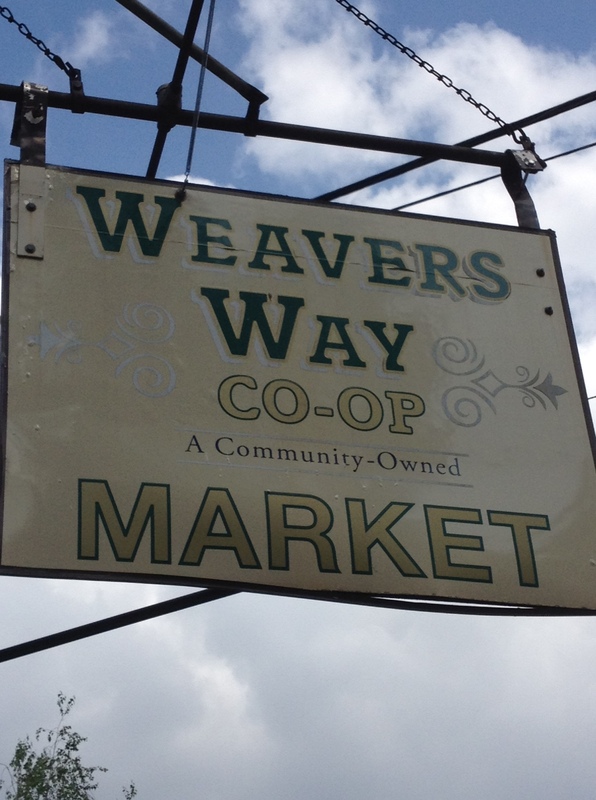 We did take one little detour out to the Weavers Way Co-Op. Weavers Way was the host for the CCMA conference, and Mr. Beez was eager to check out their store. The store is in a very charming residential neighborhood. The store itself is in a very small building, so the products are virtually stacked floor to ceiling. They had a lot of variety for such a small place. 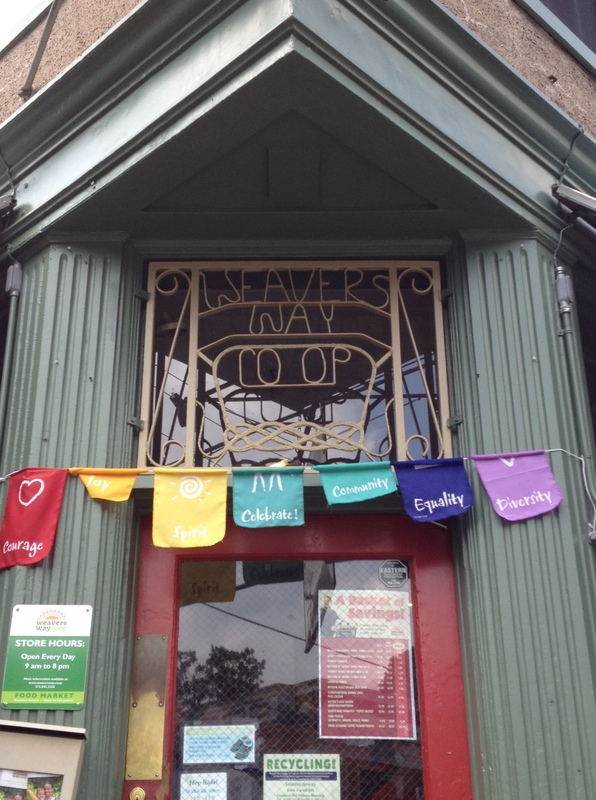 Weavers Way also has a 2nd store, and a pet store, so they’ve had a lot of success. We picked up some yogurt for Baby Beez (who was very excited to sit on a bench outside and eat it, while chattering to the dogs who passed by), and some delicious chocolate chip cookies to snack on for the ride home. Then it was time to go home. Goodbye Philly! Hope to see you again soon! So the big news today is that my brother and his girlfriend are having a baby! Even though they live across the country, I’m excited for Baby Beez to have a cousin! When Baby Beez gets older, I’d like her to spend time during the summer on the West Coast, and it will be fantastic for her to have a cousin so close in age! 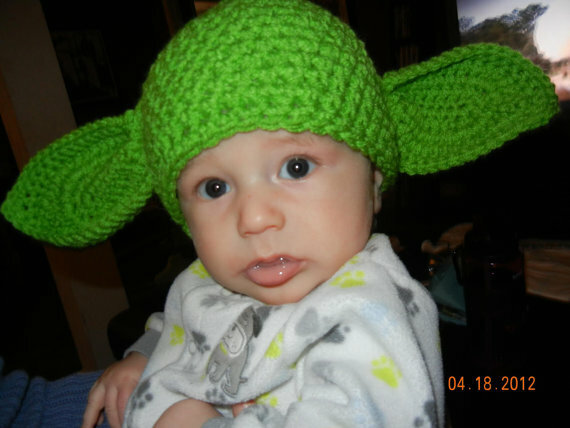 Of course one of the best things about having a little baby niece or nephew is BUYING ADORABLE BABY STUFF! 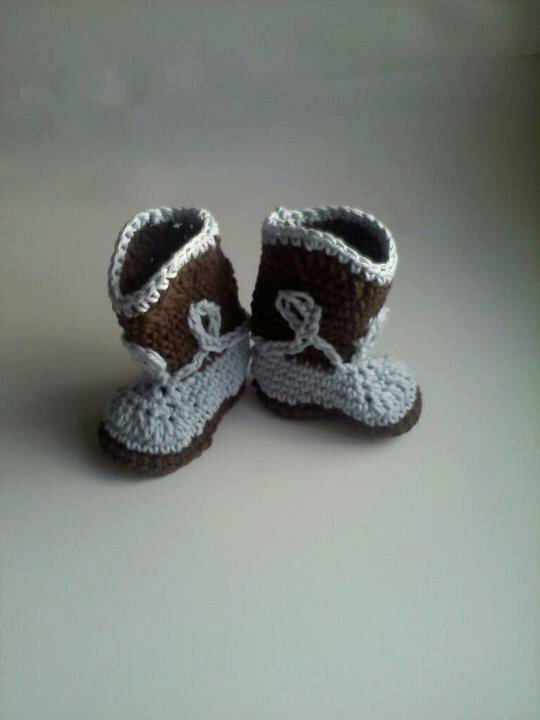 There are plenty of months to stock up on goodies before that little one arrives!! 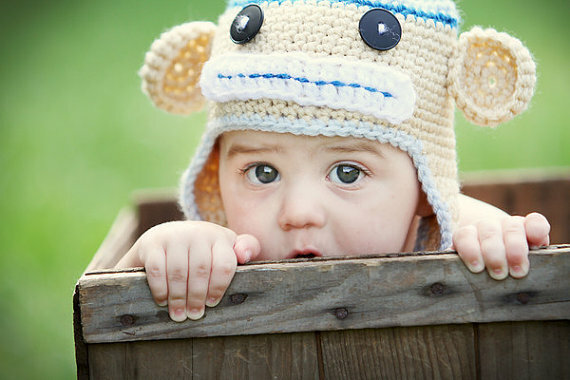 HELLO HANDMADE BABY SHEWS AND HATS! 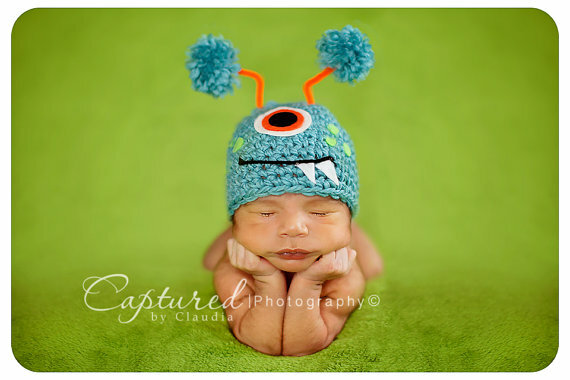 Hooray for spoiling a new baby!